Picks of the Week: Mar. 27 – 31. – Mar. 27. (Wed.) Sascha’s Bloc. A gifted group of players, many from Russia and/or Eastern European backgrounds, showcasing music that crosses easily and compellingly across lines of genre and tradition. Led by the dynamic guitar playing of Alex (Sascha) Gershman, with the intimate vocalizing of Carina Coper. Vibrato Grill Jazz…etc. (310) 474-9400. – Mar. 27. (Wed.) The Scott Healy Ensemble. Pianist/composer Healy leads a compact, but richly expressive, ten piece ensemble in selections from his classically tinged, highly praised Hudson City Suite. Vitello’s. (818) 769-0905. – Mar. 28. (Thurs.) Ginger Berglund and Scott Whitfield. Ginger and Scott’s musical legacy reaches back to the Pied Pipers and the Modernaires, filtered through their own jazz instincts, with traces of Jackie Cain and Roy Kral. 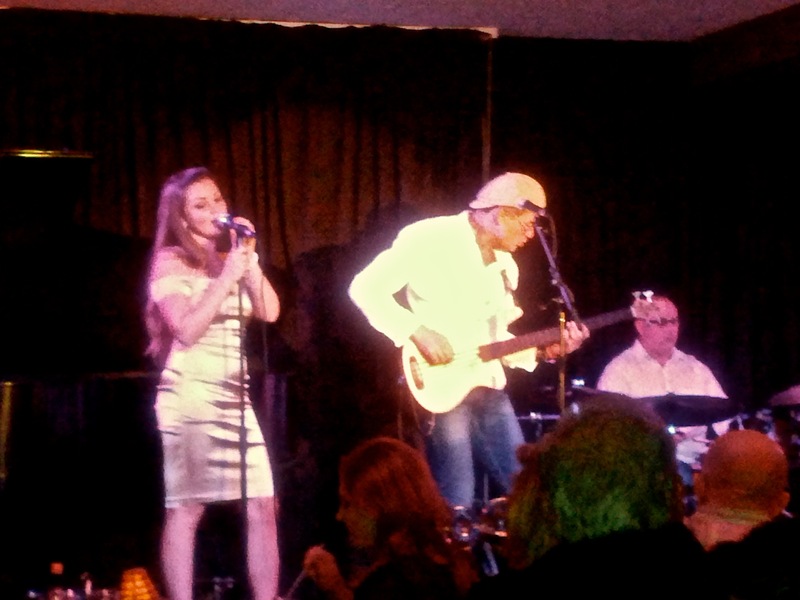 Vibrato Grill Jazz…etc. (310) 474-9400. – Mar. 29. (Fri.) Kim Richmond Concert Jazz Orchestra. Saxophonist Richmond leads a fine aggregation of Southland players in A Tribute to Stan Kenton. REDCAT. (213) 237-2800. – Mar. 29 & 30. (Fri. & Sat.) Charles Wright and the Watts 103 St. Rhythm Band. The pioneering funk and soul band, led by guitarist Wright, revive some of their many hits from the late ‘60s and early 70s. Catalina Bar & Grill. (323) 466-2210. – Mar. 30. (Sat.) A Ttribute to Charlie Haden. Bob Sheppard, Billy Childs, Peter Erskine, Darek Oles get together to honor the remarkable career and superb playing of bassist Haden, whose health conditions over the past few years have limited him to rare public performances. Vitello’s. (818) 769-0905. – Mar. 30. (Sat.) Nikhil Korula. Singer/guitarist Korula, who concentrates on acoustic rock, makes a rare solo acoustic appearance, performing a program of original compositions and rock classics. Witches Brew in North Hills. (818) 892-1480. – Mar. 30. (Sat.) and April 4 – 7. (Thurs. – Sun.) Trisha Brown Dance Company. An adventurous choreographer since the ‘70s, Brown’s Company performs her Floor of the Forest on Saturday night – the first event in The Retrospective Project, a collection of her works unfolding over the following week. Royce Hall CAP UCLA. (310) 825-2101. – Mar. 31. (Sun.) Charmaine Clamor. Reaching beyond her Filipino background, Clamor has thoroughly established herself as one of the most imaginative, and utterly listenable, jazz voices of the decade (and beyond). “Hallelujah,” her Easter show, displays the full range of her remarkable vocal expressiveness. Catalina Bar & Grill. (323) 466-2210. – Mar. 31. (Sun.) John Proulx Trio. Pianist Proulx has long been a first call rhythm section player. But in recent years, his mellow vocalizing has positioned him as a Chet Baker-influenced singing instrumentalist. Vibrato Grill Jazz…etc. (310) 474-9400. – Mar. 29 & 30. (Fri. & Sat.) Rita Coolidge. Grammy winning, hit-making Coolidge peaked during the ‘70s with hits in pop, country and jazz charts. In her late ‘60s, she’s still going strong. Yoshi’s San Francisco. (415) 655-5600. – Mar. 28 – 31. (Thurs. – Sun.) Holly Cole. Canadian jazz singer Cole has been charting an original vocal pathway since the ‘90s. She’s currently supporting her latest album, Night. Jazz Alley. (206) 441-9729. – Mar. 26 – 31. (Tues. – Sun.) 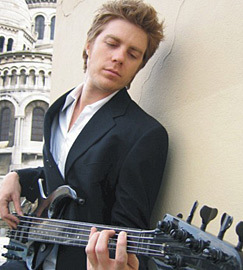 Kyle Eastwood Group and the Larry Coryell Group. It’s a generationally contrasting evening: featuring 44 year old jazz bassist and composer Eastwood, and 69 year old guitarist Coryell. Expect to hear diverse sounds. The Blue Note. (212) 475-8592. – Mar. 28 – 31. (Thurs. – Sun.) The Dave Douglas Quintet. 50th Birthday Week. Trumpeter Douglas celebrates his anniversary in the sterling musical company of Jon Irabagon, tenor saxophone, Matt Mitchell, piano, Linda Oh, bass and Rudy Royston, drums. The Jazz Standard. (212) 576-2232. – Mar. 30. (Sat.) Maria Pia De Vito & Ares Tavolazzi Duo. Vocalist/composer De Vito and bassist Tavolazzi have both worked in crossover and avant-garde areas of contemporary music. Expect intriguing musical results from their duo partnership. Blue Note Milano. +39 02 6901 6888. – Mar. 26 – 28. (Tues. – Thurs.) 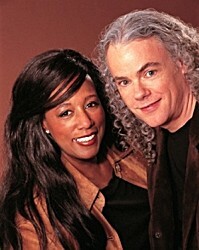 Tuck & Patti. Guitarist Tuck and singer Patti have been a couple – in life and in music – for more than three decades. And their engagingly intimate music continues to be one of the pleasing marvels of contemporary jazz and pop. Blue Note Tokyo. +81 3-5485-0088. This was a great week for music in LA, (not just cause my band was playing!) — Kim Richmond, Jon Regen, etc…sometimes this happens and it’s great.